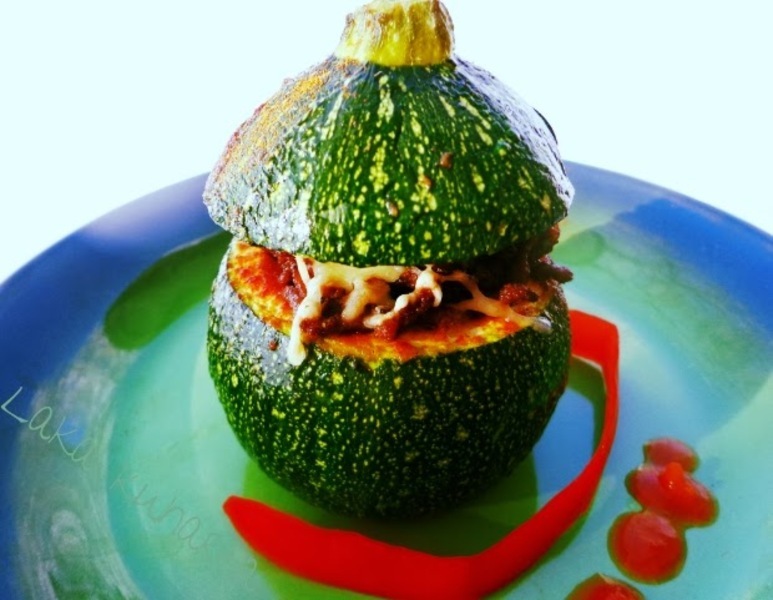 Stuffed round zucchini are fiery, spicy and fun to eat. 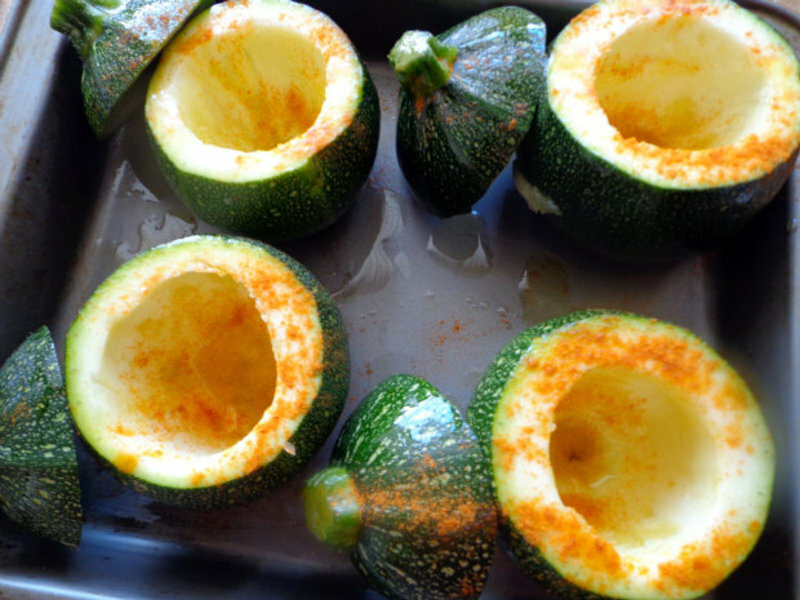 Cut a little hat off the top of each round zucchini, and carve the inside using a small sharp-edged spoon, discarding the flesh. 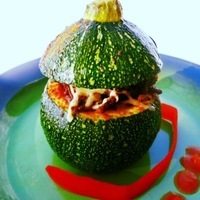 Put the zucchini shells and hats in a greased gratin dish, sprinkle with olive oil and spicy chili powder. Bake in the oven at 180°C for 20 - 25 minutes, until cooked al dente: shells should be tender, but still hold their shape. Meanwhile, sauté the onion in olive oil for 5 minutes. 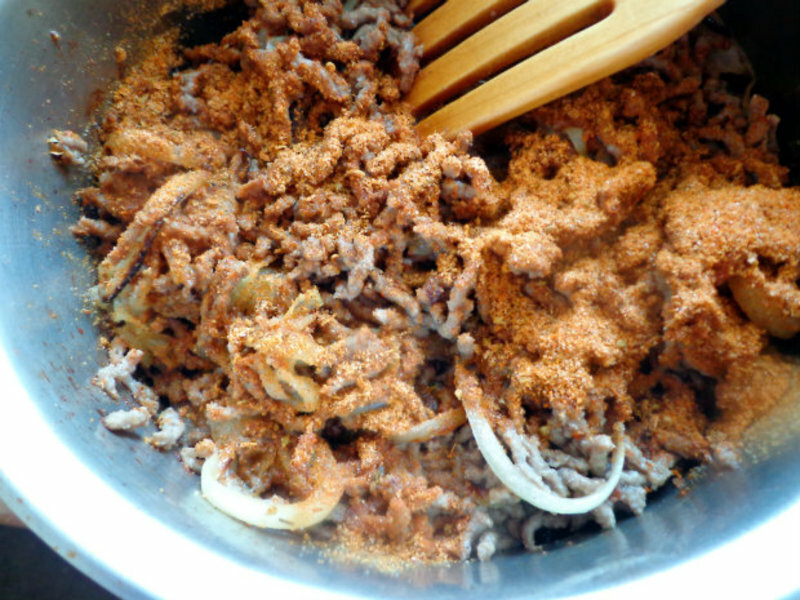 Add minced meat and spices, continue to sauté, stirring occasionally, for 10 minutes. 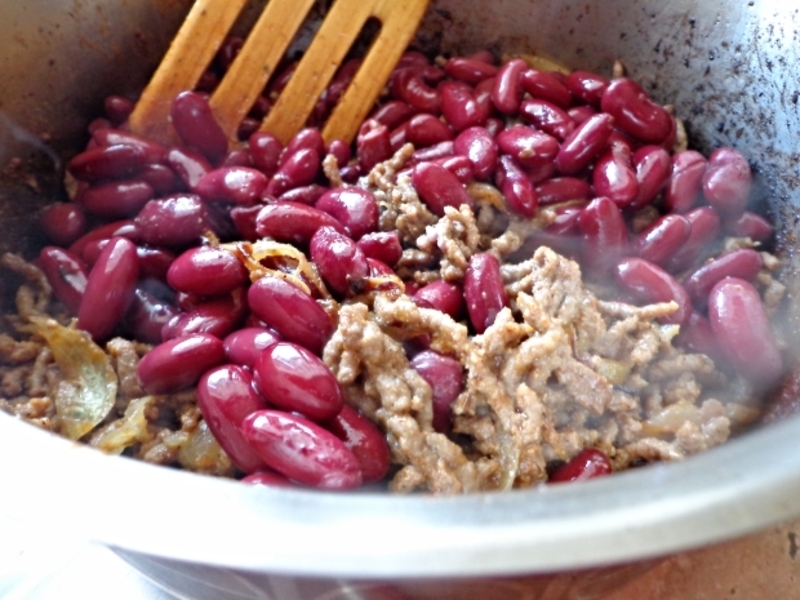 Add pinto (red) beans, and a little water, stir and simmer gently for 15 minutes until the water evaporates. 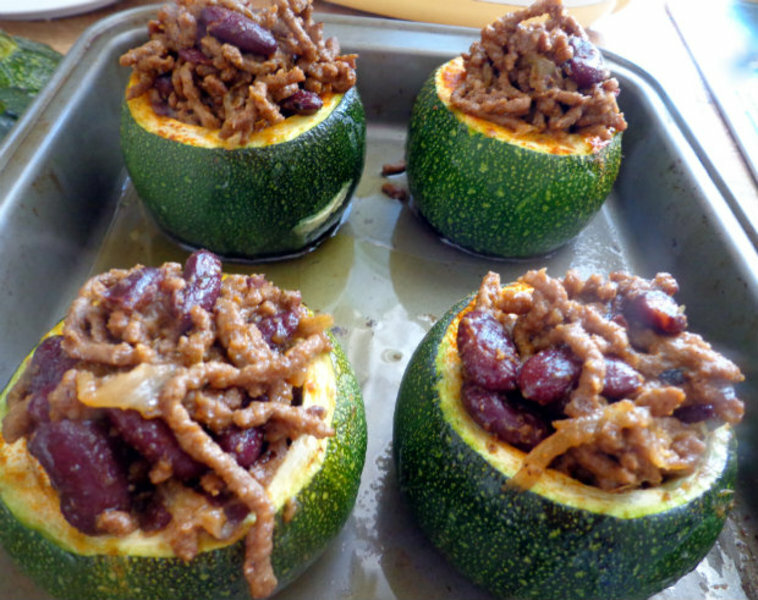 Fill each zucchini shell with the meat and beans mixture, sprinkle grated Swiss cheese on top and bake in the oven for 5 minutes (without hats) until the cheese melts. Put a hat on top of zucchini and serve.